The CGHR Training Centre provides access to free public health courses developed by the Centre for Global Health Research. Currently, we are offering ACDC – the Advanced Course on Death Certification. However, more content will be available in future. Courses can only be accessed by registered users. Please click on ‘Register‘ or ‘Log in’ to access our courses. This course is not optimized for mobile use. Please use a desktop computer to do this course. 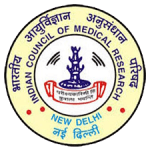 Indian Council of Medical Research. The Centre for Global Health Research (CGHR) is an independent, not-for-profit organization co-sponsored by St. Michael’s Hospital (Toronto) and the University of Toronto. Founded in 2002 on the principle that effective health initiatives must be supported by reliable, evidence-based research, CGHR was created to conduct large-scale epidemiological studies in developing countries. CGHR’s mission is to lead high-quality public health research that advances global health for all, with particular attention to the world’s poorest populations. Current projects at CGHR are designed to generate and disseminate evidence of the major causes of premature mortality among the global poor. Research areas include maternal and child health, tobacco control, health policy and economics, and gender inequalities. CGHR has offices in Toronto, Bangalore, and New Delhi. Funding is provided by grants from the Canadian Institutes of Health Research, the US National Institutes of Health, the Bill and Melinda Gates Foundation, St. Michael’s Hospital, and the University of Toronto.